Hi! I’m Stephanie Mullins, a freelance graphic and website designer and developer living in Louisville, Kentucky. I provide services to bloggers, entrepreneurs, and business owners looking to create or grow their online identity in a unique and professional way. 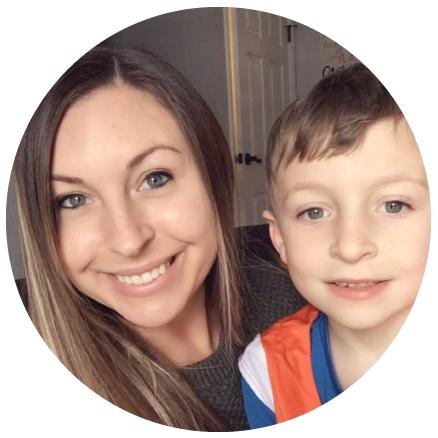 I launched a small graphic and blog design business back in 2008 as a mom blogger who wanted to make a little money to contribute to my growing family. Over the years I’ve learned a lot, met some amazing people, and pushed myself in ways I never thought I could, to grow my business into what it is today. Now, over 10 years later, I have a full-service design and development “studio” (usually located in my living room) and I now specialize in custom WordPress-based web design, using the Genesis framework. 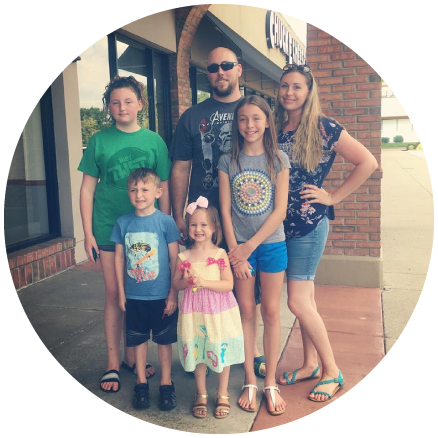 When I’m not working, you’ll find me hanging out with my husband and our four kids, walking through the woods, binge-watching something awesome on Netflix, homeschooling, taking care of our backyard chickens, reading a good book, and diffusing essential oils. My heart is in every project I work on. I love that through my work, I am able to play a part in helping others follow their dreams. I feel that my own experiences as a blogger and entrepreneur make me an ideal candidate to help you turn your ideas and dreams into a reality. The perfect logo and website is a huge part of any business, no matter the type or size, and I want to make yours amazing. Whether you have a specific idea in mind or you don’t know where to start, I’m here to help every step of the way!